This castle in northern Aizu offers fantastic views of old restored samurai houses. One of the most famous events in Japan. Grand floats are pulled through the streets. 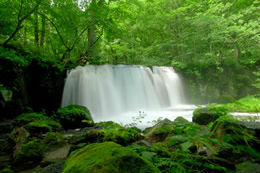 The Oirase stream winds its way through the mountains and down to Lake Towada. 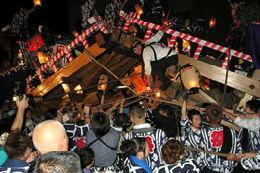 Two wooden floats battle it out at the Kakunodate festival in Akita. 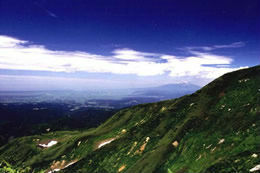 The three sacred mountains of Dewa boast the longest history of mountain worship in Japan. This Edo-period postal town offers a peek of how old Japan used to be. This rugged coastline stretches for nearly 200km. Some breathtaking scenery here! 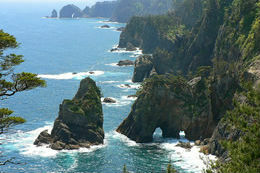 Tohoku encompasses the northern part of the main island of Honshu, and is largely mountainous and sparsely populated. The western prefectures of Akita and Yamagata are known as the `rice-basket` of Japan and the source of Japan’s most delicious sake. 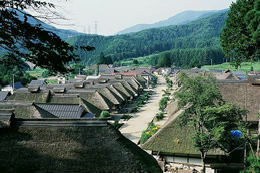 With relatively short summers, Tohoku is best experienced from May to October. 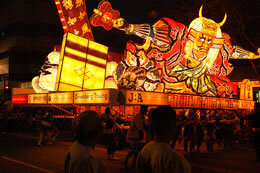 This is also when most festivals are held, such as the Nebuta Festival in Aomori and Tanabata Festival in Sendai.